Zimbabwe’s new quasi-currency has a trust issue. That’s hardly surprising for a country scarred by hyperinflation. 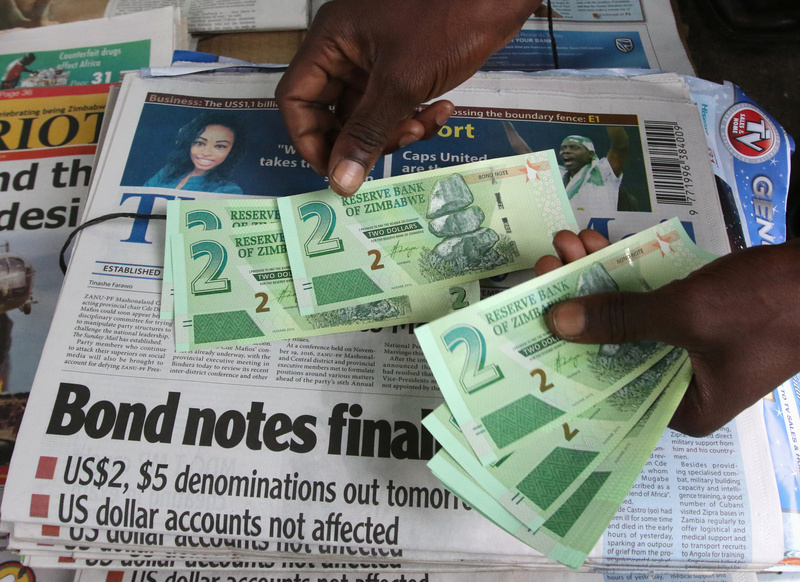 Harare’s new “bond notes” could help address its epic economic problems – but it’s a big ask. Zimbabwe’s problem is a lack of U.S. dollars. The sub-Saharan state switched to the greenback after the Reserve Bank of Zimbabwe printed so much of the local currency in 2007-8 that inflation hit an annual rate of almost 500 billion percent. Over 90 percent of domestic transactions are conducted in the U.S. currency. The problem is keeping the dollars in the country when imports massively outstrip exports. The current-account deficit exceeded 10 percent of GDP in 2015. And as the dollar appreciates, Zimbabwe becomes even less competitive relative to neighbouring South Africa, which accounts for 50 percent of total trade. The only option is a painful adjustment in wages and prices: consumer prices dropped 2.5 percent last year. The central bank’s proposed workaround is to offer Zimbabwean producers a 5 percent bonus on the value of what they export in U.S. dollars. This is funded by the new bond notes, which in turn are backed by a facility provided by Cairo-based Afreximbank. So an exporter which sells a $100 dollar widget would get $5 extra in its bank account from the state. In return, the bank gets 5 of the new bond notes, which it can release into circulation. The bond notes will not displace the dollar anytime soon. They will be released at the same rate as export receipts, up to a ceiling of $200 million: that’s only 4 percent of Zimbabwe’s $5 billion broad money supply. To accept the notes as equivalent to dollars, though, citizens must believe the government of 92-year-old despot Robert Mugabe is not going to start printing them in unlimited quantities. A key test will come when Zimbabwe reaches the $200 million limit. If it is being conservative, it will then need to get a bigger loan facility. Government officials are sending mixed messages about whether the bond notes constitute normal currency or not. The danger is not just that the shift fails to boost exports, but that worried citizens take what dollars they have out of the banking system. Their lack of trust remains Zimbabwe’s biggest deficit. Zimbabwe launched a "bond notes" currency on Nov. 28 which held its value against the U.S. dollar on Nov. 28. The bright green bond notes, introduced by the southern African nation's central bank to try to ease a shortage of dollars, were accepted by most businesses and black market traders, Reuters reported on Nov. 28.